Tripp’s Dog Training St. Pete offers several obedience program options, each with a proven reputation for producing immediate and lasting dog training results and executed with the highest degree of professionalism and care. We offer Basic Obedience Training, Advanced Obedience Training and Behavior Counseling to the St Petersburg community and the surrounding areas of Pinellas County, FL. Programs include; In Home Dog Training, Deluxe In Home training Camp, About Town Training and Board, Train and Play camp. Descriptions of each program are detailed below. 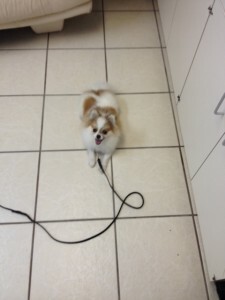 All of Sarah’s obedience programs are based on comprehensive dog training techniques. Sessions are structured to teach you how to train your dog as well as benefit from professional handling. There are a variety of programs detailed below, designed for the various learning styles of individual dogs and owners. Sarah will teach you how to continue the training between lessons and after the program ends. References are available upon request. Training packages are detailed below. Please visit our testimonials page and YouTube channel to view our success stories. Sarah is a very versatile dog trainer with extensive experience working with all breed types and sizes including small dog training and Toy breeds. This comprehensive and cost effective training program is suitable for all non-aggressive dogs regardless of any previous training. This is our most popular program. We will meet for 7 lessons either 1 or 2 times per week to be determined by the owner’s schedule. Training sessions will be held in the convenience of your home and about town once we progress. 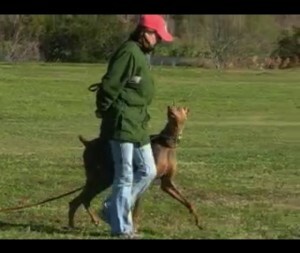 We will cover basic through intermediate obedience and manners both on and off leash. Commands typically include; “Place”, “Off”, “Leave it” and “Out” as well as “Sit on command”, “Heel on leash”, “Wait”, “Down on command”, “Stay” and “Come on command”. This program is great for owners who want to stay involved during the learning process. Sessions may always be added as needed. Pricing includes unlimited phone consults between and after lessons. Please call Sarah for pricing details and a free phone consultation 727-479-4255. For dogs 5 months or older, this accelerated obedience program is perfect for those with a busy schedule who want a jump start on obedience training. 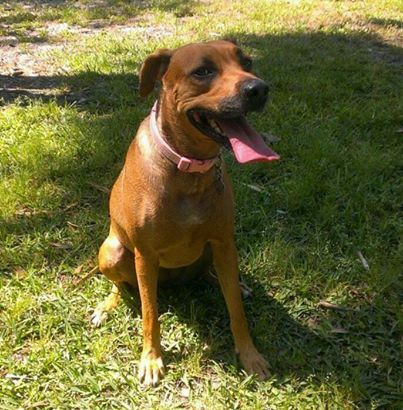 Sarah will come to your home 4 days per week for three weeks in a row to train your dog for you! Each week includes a full session recap with the owner. You do not need to be at home during the training for every lesson although participation is welcomed and encouraged for those who are able. This is a very successful program that offers the same accelerated learning as the “Board Train and Play” camp. Call Sarah for pricing details and a free phone consultation 727-479-4255. Tripp’s Training is able to offer your dog a unique and highly successful “Board, Train & Play” obedience camp experience. The “Board ,Train and Play” camp started by Sarah 7 years ago allows you to drop your dog off for a designated amount of days to receive professional dog training paired with play time and boarding in the secure, clean, caring environment of an established local kennel. I offer two locations. The facilities we work with offer you the greatest boarding advantage with secure, clean boarding areas, ample play yards and readily available medical attention if needed. Your dog will stay for the designated length of time to be professionally trained by Sarah Tripp White followed by a private in home lesson with Sarah after each week concludes. This program is traditionally intended to address the basic obedience commands; “Sit”, “Look at me”, ” Focused Heel”, “Down”, beginners “Stay” ( Down and Sit ),”Leave it”, “Wait” and beginners “Recall”. We will be happy to discuss any other specific obedience or behavior issues that you would like addressed while your dog is training with us and modify the agenda accordingly. All enrollees’ must be up to date on shots as well as heartworm and flea and tick prevention. This program is designed to reduce boarding stress typically experienced by training dogs during longer “boot camp” programs and to keep owners involved and confident in their abilities to work with their dogs on new commands learned each week . There is a 7 day minimum and longer stays or varied scheduling can be arranged to work on more advanced obedience or behavior issues. This program is intended for non-aggressive dogs, but we will happily discuss training solutions for your concerns regarding aggression. We take a limited numbers of dogs per week for training to ensure our full attention, so space is limited. Call Sarah today at 727-479-4255. Deluxe “About Town” Training Program: This is an add on option for the basic obedience programs described on this page. Your dog will need to have completed any of the obedince programs described above to be followed by 4 “About Town” training sessions during which the owner will learn more about continuing obedience with distractions. These sessions will be held at a variety of places such as cafe’s, dog parks, shopping centers etc. These lessons are fun, informative and invaluable! It is a huge benefit to have a professional with you to guide you through problem solving obedience challenges that arise in public settings. The deluxe add on package is priced at a discount for current students and is highly recommended for the most comprehensive training experience. Please call Sarah for details and pricing. 727-479-4255. Tripp’s also offers obedience training by the session or individual behavior help consultations. All of our individual and behavior sessions are scheduled, priced and implemented based on the specific issues and goals at hand. Some typical issues requiring behavior consultations include; leash aggression, dog reactivity, stranger reactivity and fear and anxiety. Fees will vary according to the nature of the training agenda. Please call Sarah for a free phone consultation and pricing 727-479-4255.